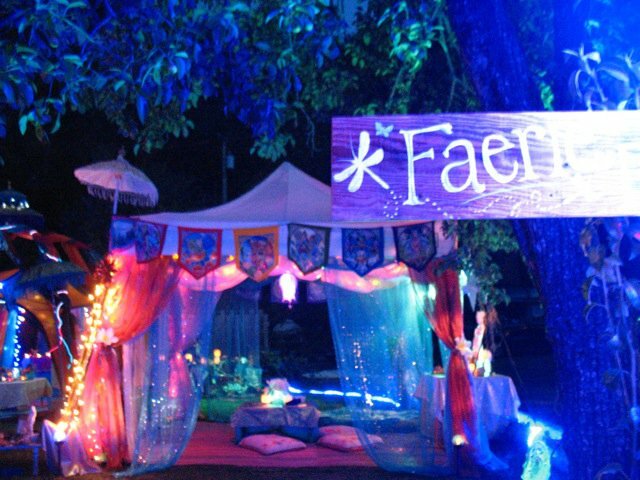 Faerie Ring by Living Fae. Photo taken at Sunset Campout by Ursula Young. Affirmation: No matter where I’m going, what I’m doing, I’m focusing on things that make me feel good. The image above is definitely something that makes me feel good. Experiencing it is magical, and something I hold very dear to my heart. I designed that with Anne Elizabeth for Living Fae. We put it up at the Sunset Campout every year put on by the Pacific Sound crew from San Francisco; an event that makes me smile just thinking about it. I was inspired today by a YouTube video of Abraham Hicks talking about setting your vibrational tone and the importance of finding your vibrational harmony with source. Our vibration is key to creating the life we desire, it is key to our happiness. And when our vibration is aligned with source what we focus on manifests. That’s why it is so key to focus your attention on that which you desire and to be in a state of happiness simultaneously. When we focus on something it shows up more because we make ourselves more aware of it. Just to give you an example listen to this video and try the exercise with Anthony Robbins. Each of us is ultimately responsible for our own happiness. We make the choice. We can try and attribute it to outside circumstances or how other people are making us feel, but remember, we are the creators of our lives. We set the vibrational tone. So get in the most amazing, blissful, happy, peaceful, loving vibration you can imagine, and do whatever it takes to get there, because I believe its the most important thing worth living for. Remember the work you do on the inside reflects all around you. And if something throws you off. It’s OK. It happens. Just give yourself a hug and get back to where you know you need to be. Now, I’m off to Las Vegas tomorrow. It’s a very spontaneous adventure! I got an email yesterday about the You Can Heal Your Life Conference with Louise Hay in Las Vegas this Saturday, January 21st and decided to buy my ticket. If you’ve been reading my blog since the beginning you’ll remember I mentioned it was the book You Can Create An Exceptional Life by Louise Hay and Cheryl Richardson that inspired me to start the blog. When I saw it I knew I needed to go, and certainly made me feel good. This entry was tagged Abraham Hicks, affirmations, Anne Elizabeth, Anthony Robbins, Cheryl Richardson, faeries, fairies, feeling good, Hay House, hearts desires, life, Living Fae, Louise Hay, love, manifest, Pacific Sound, self help, spirituality, Sunset Campout, Ursula Young, vibrational harmony, You Can Create An Exceptional Life, You Can Heal Your Life. Bookmark the permalink.